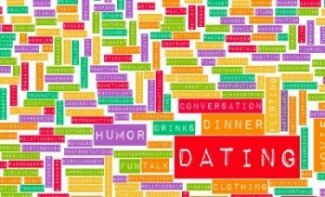 In my last blog I went over dating advice for men on a first date. And while first dates are for first impressions, getting rid of nerves, and feeling each other out, second dates are more important for really getting to know the other person. With luck, by this point, some of the nerves are out of the way. You have both agreed to see each other again, so that’s a good sign. But continue to keep your expectations to a minimum—you’re still in the getting-to-know-you stages. Not everyone who goes on a second date felt “sparks” or “fireworks” on the first one. Sometimes they were just interested enough to explore things a bit more. When planning the second date, put some thought and creativity into it. It should be a joint decision between the two of you. Maybe on the first date you discussed something you both wanted to try (a movie you wanted to see, a restaurant you have both been meaning to try, a mini-golf place that looks fun). Again, it should be something you are both comfortable with. I suggest something where you can have some fun and maybe even flirt a little bit: like mini-golf or a picnic. One of the key focuses in my first blog on dating advice for men was to be chivalrous. That doesn’t change on the second date (nor should it on the third, fourth, or fifteenth). Remember to be polite, hold doors open for her, tell her she looks nice, pay the tab, and anything else you can do to be a gentleman. When you first see her for the second date, go ahead and say, “It’s great to see you again.” This shows you’re interested in her and would like to get to know her better. It will also make her feel a little bit more comfortable moving forward. During the date, try to reference things you talked about during your first meeting. This will help the conversation flow, but it also shows her that you were paying attention the first time around. Above all other things, women want to be heard. So show her that you were listening. On the second date you should be more relaxed, so go ahead and open up a little yourself. You don’t have to go into your whole life story, but maybe be a little bit more forthcoming about who you are and what you’re all about. While you want the conversation to continue throughout the date, make sure NOT to bring up anything negative, such as information about past relationships. You also want to avoid controversial subjects like politics and religion—save those things for when you know each other better. You don’t want to start arguing after only two dates! To sum up: remember that things are still very much in the initial stages. Don’t push things along too quickly, and temper your expectations. As for how to end the night, try to sense how she is feeling; she will usually give you little hints if she would like a kiss goodnight. You just have to pay attention. Remember, dating is a process in which you’re meeting different people to see if you are a good match. After two dates you might have a better idea of whether this is someone you would like to see again, or whether things just aren’t clicking. My next blog will cover the third date, where things get a little bit more serious! As always I’m available to help you find your true love and build a relationship that lasts. Here is my personal online scheduler to get your 30 minute free “Getting It Right” strategy session. Let’s get started today!